Hand carved board and chess pieces. 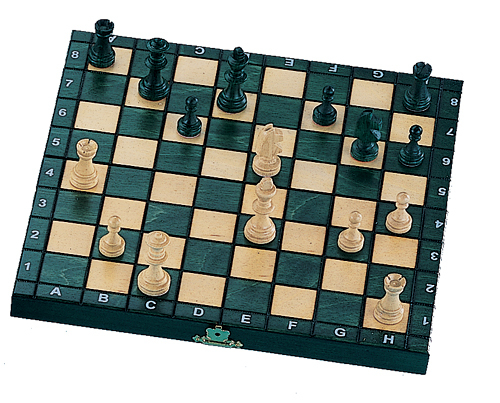 Hinged wooden chessboard folds holding a felt form with traditional magnetic chess pieces. Walnut & natural stains. Locking clasps. Same as item 8103 but non-magnetic.